In an age where design permeates all industries and aspects of life, this year’s Herald Design Forum questions the role humanity plays in it. At the forum’s second session, set to take place Tuesday at 1 p.m. at The Shilla Seoul’s Dynasty Hall, three global designers will expound on their approach to design. The speakers of the session, titled “Design Thinking,” spoke with The Korea Herald prior to the event to answer questions on the fundamental meaning of design and its lasting value. –Ed. 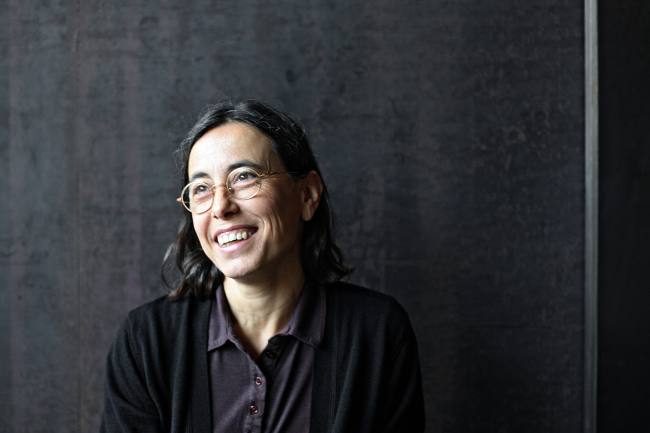 World-renowned Spanish architect Carme Pigem is a member of architectural firm RCR Arquitectes, which won the prestigious Pritzker Architecture Prize this year. In this edited excerpt, Pigem discusses the relationship between human beings and their environment. Q: Who or what do you think has the power to lead trends in the global design industry? What role do you think design will play in the “fourth industrial revolution”? A: I believe that the value of the product in itself has the power to lead trends. Design’s role in our new world of Internet of Things should be to further emphasize the beauty beyond the utility of any tool, whether it be equipment or furniture. But tools should also understand the way daily lives have changed. Q: What is your ‘driving force’? What drives you to pursue and try out new designs? A: Our driving force is to communicate feelings to people through spaces. We want to research essential meanings and be linked with the existing environment, whether it be city, landscape or building. And we strive to work hard until the answer to the question is beauty. Q: What is design that gains value over time? A: Design that is timeless. When a space or a work of art, has quality, it keeps its value through time and you can still enjoy it even if its initial functional purpose changes. Q: Architecture is greatly influenced by social issues. Some notable architects, for instance, have ties with politics or support a certain political party. Europe has recently faced growing social controversy over refugees. How do you think refugee-related issues could be alleviated using architecture? A: It is a very difficult question. It is a big problem when people must run away from their countries. When large numbers of people arrive in other countries, there are two possible ways to manage their arrival, considering their number and time constraints. The first would be to prepare a quick venue where people could stay for a short period of time, by using abandoned buildings for example. The countries could also try to absorb the new people into their existing structures. Q: When it comes to architecture, the quality of material is said to effect users’ emotions as much as design. A: I think that is true when the new material has some kind of relation to the existing ones. Then the relation and combination established between the two make the design unique. Q: A word of advice for aspiring architects dreaming of becoming a world-renowned creator? A: You should pursue your dreams, work hard, believe in yourself, be honest with yourself and live -- and work (it’s the same thing) -- with passion. 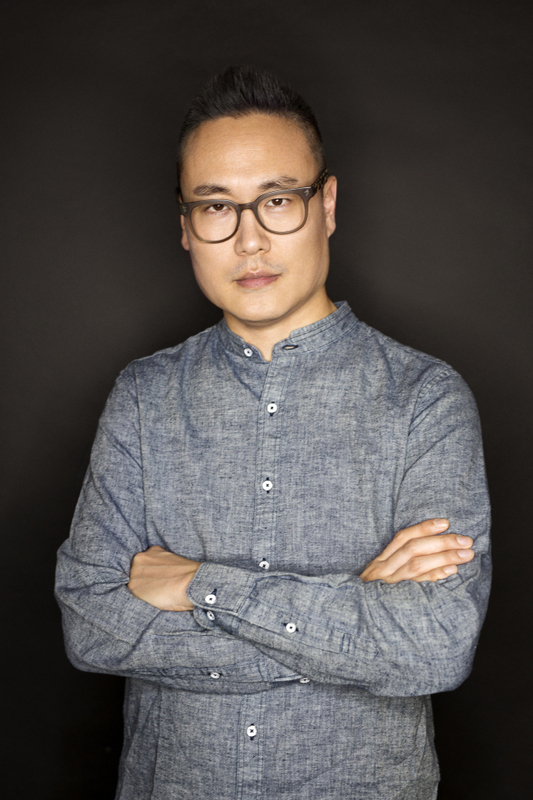 Korean designer Seok Yong-bae has worked with various global apparel brands to helm their shoe collections. In 2008, Seok served as head of design for Dolce & Gabanna’s casual and sneaker collections. Now running his own studio and brand, Camotartan, Seok partners with brands including Bally, Geox and Diesel. Q: You started out as an automobile designer, then transitioned to shoe design. What kind of similarities do the two types of design share? A: I started as an automobile designer in 2001 at the Italian company Pininfarina. I had the opportunity to participate in a project with Fila Italia, as a consulting shoe designer, and that is how I came to be where I am today. The similarity between automobile and shoe design is that both are tools that serve the function of transportation, helping humans move conveniently. Shoes, like cars, go through an extensive design process. Apart from the outer appearance such as color, the technical elements such as the sole, the liner, material come together. Only when everything is aligned can the shoe give both pleasure and convenience to the consumer. I have been sought out by many companies as a consultant, and many prospective projects with European luxury brands are in the works. Q: The Italian fashion industry is known for being entirely talent- and merit-based, but also seen as closed off to foreign talent. What was your experience? A: That is true. The Italian fashion industry seems very open but it is difficult and rare for foreign designers to rise to director positions. To put it briefly, only effort and proven talent prevail. Personally, I believe I was able to overcome these difficulties because I am able to understand the Italian and European sensibility, because I am able to understand them and communicate with them regardless of ethnicity or nationality. Now, they do not regard me as a Korean or Asian designer but purely as designer Seok. Q: What kind of design is timeless? A: Design that gains value over time is a piece of work created by a designer who did not cling to the fad of the era, but created based on the designer’s own philosophy or aesthetics. One example can be found in Italy’s Ferrari cars. The cars strive for formative perfection, making them transcend time through beauty, and increase in price as time goes by. Q: What do you think the role of design should be in the face of the fourth industrial revolution? In product design, I believe the product’s inherent function should not be lost. It should become more convenient while reflecting the era’s style. Currently, design acts as a connecting chain between humanity and technology by giving birth to products that possess both functionality and beauty. 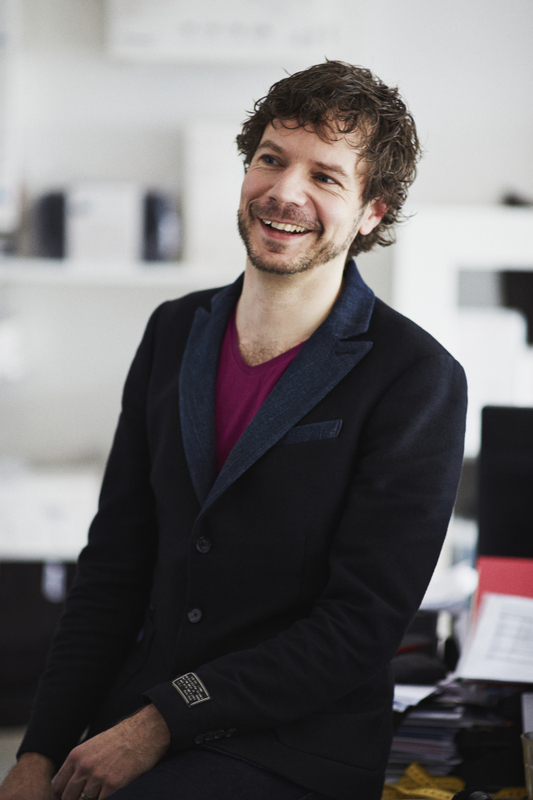 Aernout Dijkstra-Hellinga is the senior lead designer and vice president of sustainability at Bugaboo, a Dutch mobility company that specializes in strollers and luggage. Dijkstra-Hellinga explains in detail the creative process behind some of the company’s most renowned products such as the Bugaboo Donkey, a convertible stroller that attaches two seats together. Q: What is the most important feature of mobility? How are you blending such features to your design? A: Mobility for us means transportation of everything (your kids, stuff, etc.) from a to b. We like that our products are visible in public spaces. That’s where other people see our users interact with our products. Q: Bugaboo is a leading design company in smart mobility. What is your definition of smart mobility? What is the role of design in the industry? A: We create products with smart design, meaning they are very intuitive to use, engineered to last and provide value for money. This is what we consider smart design. Q: What inspired you to design the Bugaboo Donkey stroller? Why did you feel the need to create such a design? Could you give a brief explanation of the process? A: We had a lot parents asking for a solution for two or more children. We could have easily given parents what they asked for, a dedicated duo stroller. But at Bugaboo we always like to think about the need behind the question. We figured out that people wanted a stroller that could adapt to their needs. Sometimes you want to transport a single child, sometimes even three. So we needed to come up with a stroller that you could easily change from mono to duo -- within seconds. Next to that, we felt that it was important to give both children the same space, the same interaction with their parents. Lastly, the stroller should offer easy one-handed steering, even when fully loaded. By looking at all the needs we quickly realized that the only sensible configuration was to have a side-by-side stroller. The challenge was to make it narrow enough to fit through a standard door opening, while at the same time give the children enough space in which to sit comfortably. Q: What is the ‘luggage system’ suggested by Bugaboo? How do you think it will change our daily life? A: If you walk through any airport, train or bus station, you’ll see people struggling with their heavy luggage. We designed this luggage system to take away that burden and turn it into a smooth experience. It gives your arms and back a break because you can push it along with very little effort. Details make traveling more efficient -- interlocking cases which keep everything in place; an organizer for electronics can be clicked off at airport security.